Tomb Raider is the latest game in the popular franchise that first came about in 1996 which was also called just Tomb Raider, this version is a reboot for the series. You play the game in 3rd person perspective and it combines action, exploration and survival mechanics to give the player an immersive experience. You have a number of weapons to fight with including a bow, handgun and a shotgun, these can all be improved by finding scrap and parts, all the weapons are free aim and not lock in which adds some difficulty to the combat. The gameplay is broken up by the many quick time events that are scattered throughout the game and require quick reactions to get the button combinations correct. To progress through the game you traverse between camps on footpaths, you can fast travel between camps to explore more of the area. The aim of the game is to progress through the necessary stages to escape the Island (Yamatai) that you and your crew have been stranded on whilst trying to figure out what is going on on the island. With this game being a triple AAA title with complex gameplay and features it is expected to fall into more then 1 game category set out by Roger Caillois. The first category I found out it fell into was Agon because there is a competitive multiplayer mode, you are also competing against the computer to complete the story. 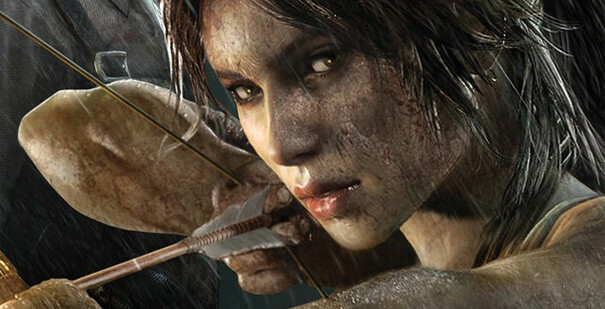 You play through the game as a young Lara Croft in comparison to the other games in the franchise, an archeologist and adventurer so that puts the game into the Mimicry category. The final category it goes into is Illinx because at times it can be disorientating, an example of this is when you take a lot of damage the screen goes grey and blurry. I did manage to reach a state of flow whilst playing Tomb Raider in times, this was most prominent during parts with quick gameplay and quick time events combined as they where very enjoyable and required concentration to get the button combos correct. At times when the gameplay was slow I found myself in a state of control as the difficulty wasn’t as high but my skill was. Super Meat Boy is an independent game developed by Edmund Mcmillen and Tommy Refenes and was released on Xbox Live in 2010, it originated from the flash browser game Meat Boy. It’s a platform game where you play as Meat Boy and the aim of every level is to save his girlfriend bandage girl from Dr. fetus by getting to her on the level. You do this whilst avoiding spinning blades, bottom less pits, and many other obstacles. The controls are simple with the ‘A’ button to jump and the right trigger to sprint for a long jump on controller, these are the only button used and keep it simplistic and just pick up and play rather then having a steep learning curb. It’s biggest appeal is that it’s a very challenging game which is something that seems to be few and far between in games of this generation. This type of game has clear links to Roger Caillois’s game categories that he outlined in his book Man, Play and Games. You play the role of Meat Boy so that is clearly a mimicry element to the game, it also has clear competitive elements with it having scores at the end of each level, and leaderboards to compare your score with people globally. 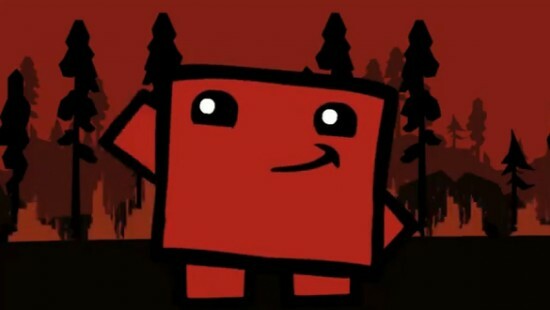 Platform games are always designed to be good at getting people into a state of flow and creating an enjoyable experience and Super Meat Boy is no exception. It was very easy to get into a state of flow whilst playing, especially when you run through a lot of levels quite quickly. The simple mechanics and controls also make it easy to get into a state of control because you don’t need to think too much about what buttons you are pressing they come naturally.